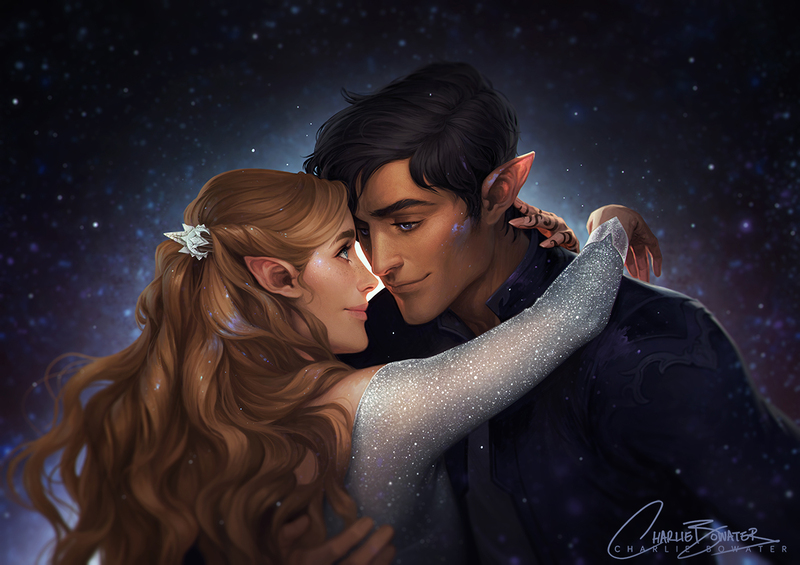 starfall por charlie bowater. Favourite scene of Rhys and Feyre on Starfall. HD Wallpaper and background images in the A court of thorns and rosas series club tagged: photo starfall a court of mist and fury acotar rhysand feyre.